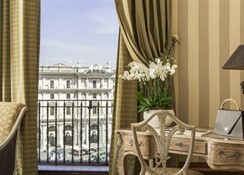 Set in an impressive, 19th century, marble building, the Exedra A Boscolo Luxury Hotel, is a truly extravagant choice for an unforgettable stay in spectacular surroundings. 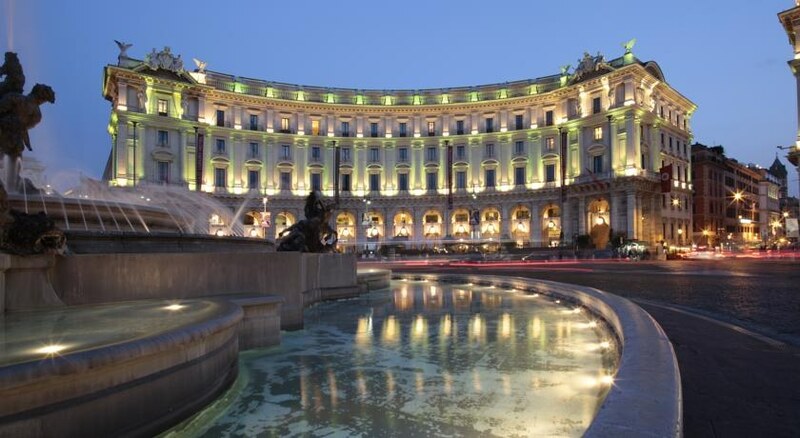 This strikingly elegant hotel is located in one of Rome¿s most renowned squares, facing Rutelli¿s Fountain of the Naiads and next to the ancient ruins of the Diocletian Baths and Michelangelo¿s basilica. 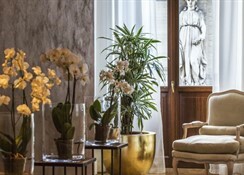 Immersed in history and culture, this exclusive hotel has an unbeatable location close to the most popular shopping areas and fashion boutiques. 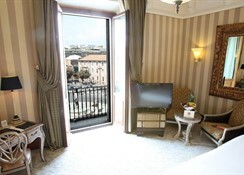 Take the glass elevator up to the hotel¿s private rooftop terrace and pool where you can relax with a glass of fine wine and admire the stunning views of the historic centre. 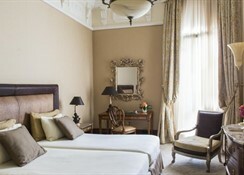 Here you may also enjoy a massage or beauty treatment at the adjoining spa and wellness centre. 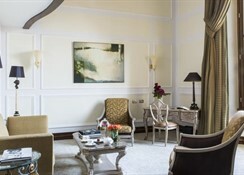 The Exedra Luxury Hotel is ideal for any occasion. Its grand business centre combines old with new; exposed original Roman ruins are complimented by state-of-the-art audio-visual technology. 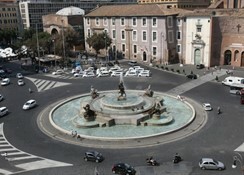 *3 EUR City tax per person and night, direct payment at the hotel.